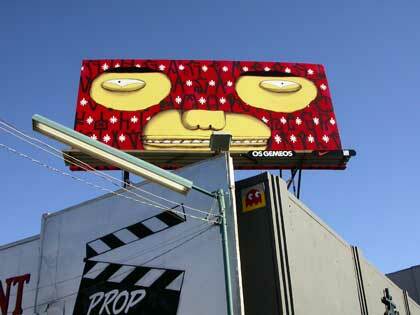 Carnivalesque Dreams of Os Gemeos from Scribe Media on Vimeo. 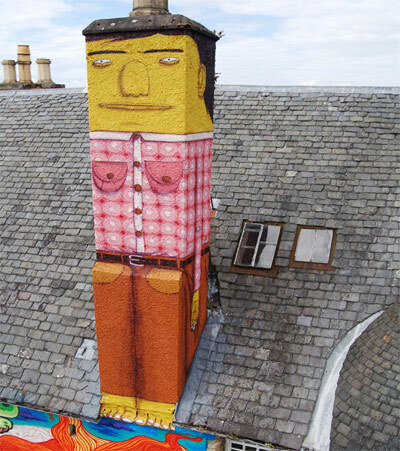 I’ve been a HUGE fan of Os Gemeos ever since I got into graffiti and street art. When I was able to find this interview with the twins at their Too Far Too Close show in the Deitch Projects space. The Show runs from June 28 to August 09, 2008 18 Wooster Street, New York and is open to the public Tuesday through Saturday from 12PM to 6PM! 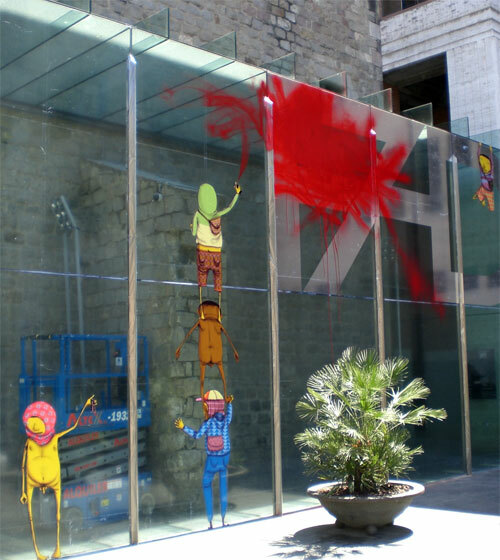 Os Gemeos is famous for their their use of the famous Brazilian style labeled pixacao. They grew up in São Paulo, Brazil and are self taught artists drawing influences from their surrounds and Brazilian culture and history. One of the most prominent aspects I found of their style is the wonderful use of space, utilizing what city scape’s have to offer. Their use of vivid colour and exuberant patterns within their murals draw attention and really makes their work stand out. 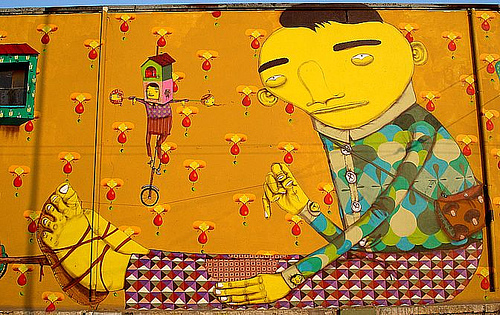 If you are not familiar with Os Gemeos’s work here are a few photo examples.